Auntie Fee Net Worth - How Much Money is Felicia O'Dell Worth? 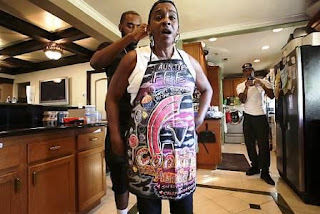 Auntie Fee, born Felicia O’Dell is a professional cook and YouTube sensation best known for her comedic recipes. Her net worth is around $350,000. At the age of 9, Auntie Fee was already perfecting her cooking skills and recipes. Born and raised in Los Angeles, she got pregnant at the age of 15 years. She spent time in prison for operating a drug ring outside her home. Fee is married to Tommy Hunter and together they were blessed with a son, Travis Hunter. Travis is her camera man. Auntie’s other two sons are Jamie and Marlon. Auntie Fee’s rise to fame was overnight with her sweet treats recipe video gaining over 500,000 views in 24 hours. The recipe was made with sugar-cinnamon, crescent rolls, butter, and raisins. The Video was discovered by Jimmy Kimmel who later featured her on his show. How Much Money is Felicia O'Dell Worth? 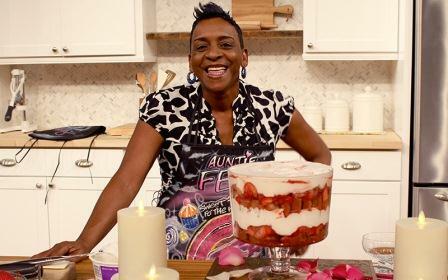 Felicia O’Dell Auntie Fee YouTube channel has 528,124 subscribers as of mid-March 2017 and has totaled 46,845,227 video views since launch in July 2014. On average she uploads 2 to 4 videos a week, in the last month the channel obtained 706,413 video views and 3,652 new subscribers. This in turn is likely to generate an annual estimated income of approximately $85,000 from ads alone.